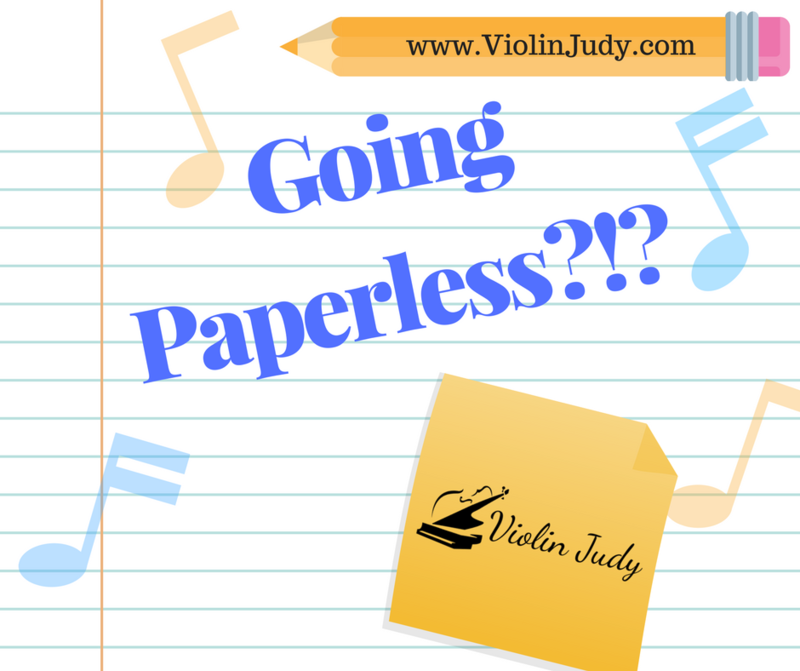 You are here: Home / Uncategorized / “Going Paperless”-The Scenic Route! 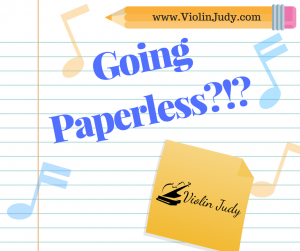 We’ve all heard about or know someone who has done the magical elusive task of “going paperless” in their music studio, but who exactly are these people and how did they do it?! I’ll admit freely that I love technology and want so much to embrace it fully, however there are times when it has got the best of me. 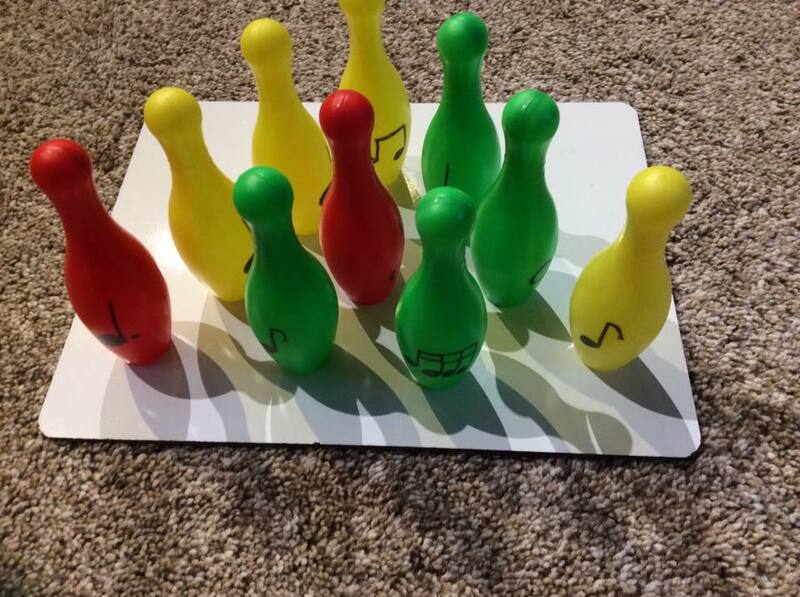 Today I’d like to share with you some ideas I have implemented in my studio as well as some ideas from other teachers with some serious skills! The first thing I’ve done differently in 2017 is eliminate my policy letter printing. Yes, I keep a few on hand for emergencies to let families take home, but when it comes time for new student interviews I ask parents for their email so they can read over my policy letter and take home a digital copy that they never have to worry about losing (to make it easy to search i type “policy letter” in the email subject line.) Also, I reduced the amount of paper and ink I use by reducing the font size to 10 and printing on both sides of the paper! A few years ago I bought this really neat scanner. So, “neat” in fact, that the name of it is the Neat Scanner! It can handle my documents, receipts and business cards with ease and makes tax time a lot easier to manage. 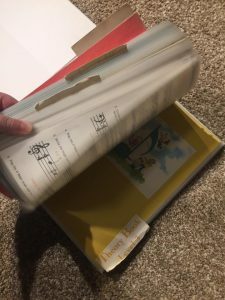 The trick is to set aside some time each week or month to scan your items so you don’t have a shoe box full of receipts suddenly appear! Below is a refurbished one-wish I would have waited and bought mine refurbished and saved $100! Another commitment I made this year was to STOP buying checks. It has always seemed a little silly to me to spend so much money on a way to…well…spend my own money! My bank offers a service where they will mail a check for free-and I took them up on it this past year! This has saved me tons in the money I spent on checks, postage and trips to the post office. I always have paypal and my debit cards with me but if someone really needs a check, I can send it straight from my phone’s banking app. And there is now a nice space in my desk drawer where boxes of checks used to live! There is SO much other fun stuff I NEED in my studio I don’t even have room for paper!!! There are a few old fashioned companies that I would purchase piano music from; they would send and then bill me. What a pain to keep track of! Every time I received a shipment of books from one company I was so confused why they just didn’t send the bill as well! I ended up cutting ties and replaced it with a company that has my debit card on file and is happy to send me one receipt at the end of the year for my taxes. Much easier for me to keep track of! I also don’t keep the receipts from my local music store, as they are happy to email me a receipt for the past years’ purchases that I can use for my taxes. For years I have been a “make one educational copy so the student doesn’t ruin my precious borrowed book” teacher. This year I decided that there is no point in having a lending library (with multiple copies of each book too) if I’m not actually lending out the books, so I let go and have put a moratorium on the copying of ANY music. Yes, my books will be a little dog eared, and some will need to be replaced, but I believe that any of my parents would be happy to replace a messed up book rather than go out and purchase an extra 20 books a year so their child can play 1 or 2 songs from each book! I also roughly counted my books. I got to 2.000 and got bored and stopped. Any crazy lady with that many books of music can afford to loose a few as well! Maybe I’ll have a contest for next year to see which student can guess how many books of Christmas Music I own! I know it’s tempting when you are a new teacher to copy music for all your students but please DON’T. There is a difference between copying music once to protect your original and copying 20 to have the same piece to give to every student! A great alternative is to look for studio licence…pay a slightly higher fee once and print for the lifetime of your studio! I buy a lot of music from Amazon, including replacement books. It’s great because when I realize a book is gone I use the 1 click ordering I have set up to quickly order another and it’s usually at my house the NEXT day. Prime Shipping is THE best investment and this means that i pay a once yearly fee and get free shipping on lots of items. There are lots of other free perks too, like being able to watch and listen to amazon music and tv. The biggest way I’m saving paper in my studio is with my students’ notebooks. For the past 10 years I’ve been really “into” making them little customized practice charts and I would hand out stickers. While little kids are into this for awhile, and I still will make them one, for all my other students I just jot down some notes in the homework section of the Piano Maestro App that All my students use. It is actually quicker than filling out those tiny little rectangles of the practice chart in my teeny tiny handwriting that no one can probably read anyway! 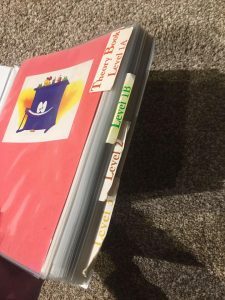 Plus, when students have to open the app to see their book homework, they’ll be motivated to get back to the app to do their fun app homework as well. An “old school” way of saving paper I’ve been using for the last 5 years is theory sheets in plastic page protectors. I have a huge binder with every theory page cut out and placed in a page protector and it’s easy for me to flip to a page and hand my student a dry erase marker and have them do the sheet in their lesson. If you have students who just NEVER will do their theory at home, just have them do it in their lesson! Life is TOO short. I used to make my students go sit on the couch and do it if they had failed to do it for more than 2 weeks but my strategy has changed this year now that our school district has school from basically 9-5p.m. which is RIDICULOUS and leaves these kids with barely any time at all to practice much less anything else before they need to hit the hay. You can read about how I saved my studio from that disastrous situation here! I still have my students buy a theory book too, but HOW MANY TIMES do they conveniently leave that stinking book at home? I can hear you all my piano teacher friends saying amen now! Here are the page protectors, theory books and special thin dry erase markers I use: Please note that while I normally would buy the cheapest page protectors, I did get the best quality for using dry erase markers because they are easier to clean and very durable! 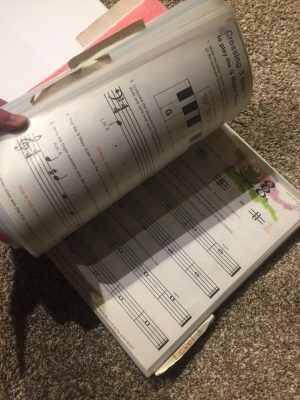 If you’re a ipad piano teacher, there are some cool things you can also do to save money, like using the sprout beat app or just having your students do worksheets right on your ipad. 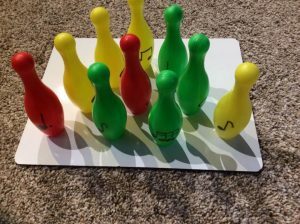 Joy Morin has a great overview of using the Sprout Beat app here and Susan Paradis has some worksheets you can use on your ipad here as well as Bridey Gibson with these cute Music Worksheets for your ipad here. A Big way to GO PAPERLESS is to scan your music into your ipad and use a bluetooth pedal AirTurn PED to turn the pages for you. It’s cool and really fun to walk into a gig of any kind whether it be playing Christmas music or accompanying a Choir and just have your ipad and pedal instead of a suitcase full of music! I love using this airturn ped and my refurbished ipad air 2 to do this and look forward to getting a 12 inch ipad pro in the future! One app I plan on getting familiar with this year is the Evernote app. There is a cool story about how a composer uses it here! Well, thanks for heading on over and reading the old blog! You know I really love helping teachers be awesome and creative while thriving! Please check out my book here: https://www.amazon.com/gp/product/B01L8STY86/ref=as_li_qf_sp_asin_il_tl?ie=UTF8&tag=violinjudycom-20&camp=1789&creative=9325&linkCode=as2&creativeASIN=B01L8STY86&linkId=fcfaaebfee56cf24a1bfff84233057e6 It’s available on Amazon.com and it features 60 different and easy ways (think 5-45 minutes daily) that you can MAKEOVER your studio. 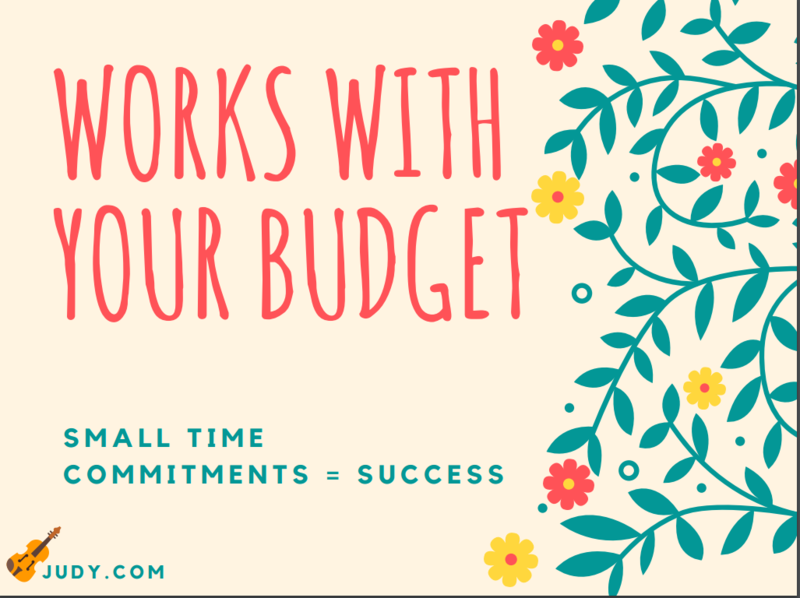 If you need some serious help, please consider my consulting services-info here! https://violinjudy.com/joyful-noise-consulting/ Thanks! 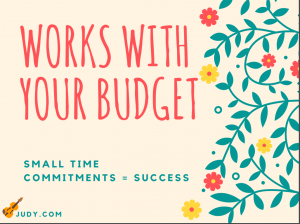 Please note that any links on my site that are amazon links are affiliate links which means I make a teeny tiny percentage…and it all goes to keeping this site up and running. Thanks!